The strawberry is just excited to play. 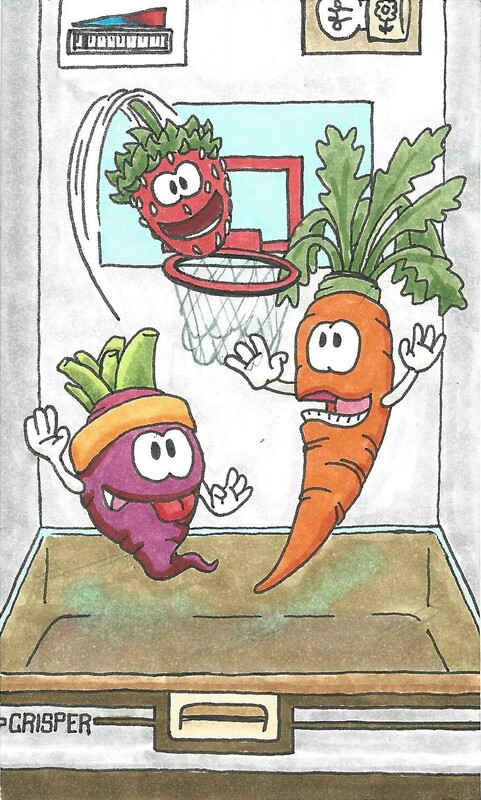 or basketball games with a beet. or soccer with something that’s sweet. until it has been on your plate.